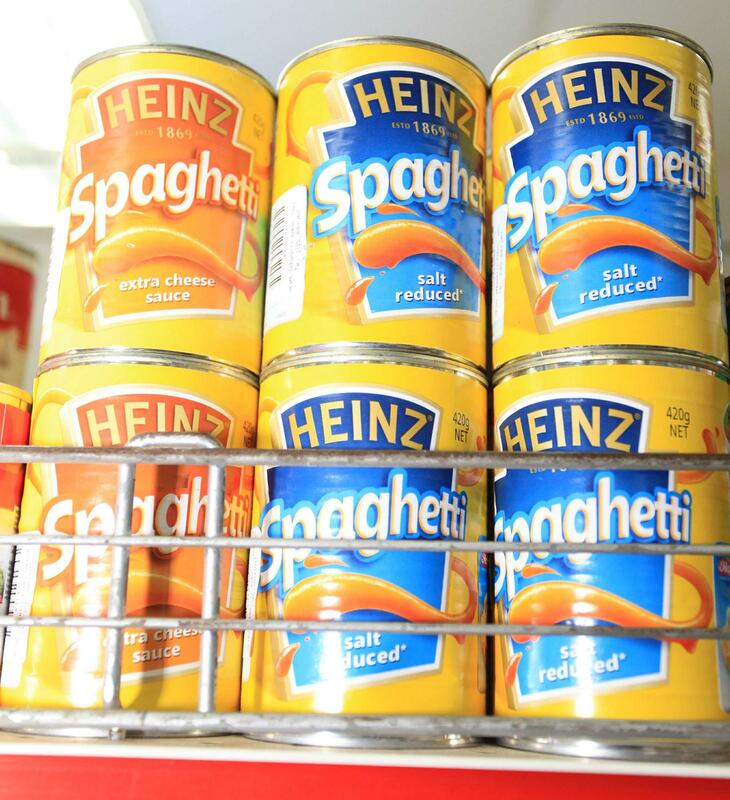 Supermarket sob story: Why are imported foods so expensive in Bangladesh? The Independent compared the cost of imported foods in Bangladeshi supermarkets with those in the United Kingdom, and found that items in Bangladesh are, on average, 160 percent more expensive. This investigation — the first of its kind in Bangladesh– attempts to provide an explanation for the surprisingly high costs of imported food. It includes insights from some of the industry’s main players, including supermarket executives, suppliers, customs and National Board of Revenue officials. Sabera Ashraf’s seven-year-old son is something of a fussy eater – a rather common phase for a child his age. “I have to put cheese in everything he eats,” she says a little wearily. And as a busy working mother without a domestic help, Sabera buys imported breakfast cereals to save time in the morning. According to the President of The Consumers Association of Bangladesh Quazi Faruque, Sabera is one of a growing number of people in Dhakapurchasing imported products from the two largest supermarket chains, Agora and Meena Bazar. However while local products are quite reasonably priced, the cost of imported items in Bangladeshi supermarkets is exceptionally high, even by international standards. German intern Birgit Gassner told The Independent that the high prices forced her to alter her diet after arriving inDhakatwo months ago. “There’s an enormous range of imported products in Agora, but it’s enormously expensive compared with German supermarkets,” she said. After comparing the prices of 44 identical items (both in terms of brand and weight) in Bangladeshi supermarkets and theUnited Kingdom’s largest supermarket, Tesco, I discovered that shoppers at Agora and Meena Bazar pay an average of 160 percent more per item [please refer to price comparison chart at the end]. In some ways, it’s unfair to compare Tesco’s prices with those inBangladesh, as it’s the world’s second largest retailer in terms of profits (£3.4bn in 2010) and its buying power is now so massive that it’s become a source of criticism within the UK. Most vocal is the Tescopoly Alliance, whose website states, “Growing evidence indicates that Tesco’s success is partly based on trading practices that are having serious consequences for suppliers, farmers and workers worldwide, local shops and the environment.” And according to the UK activist group, “War on Want”, “From Bangladesh to South Africa, supermarkets dictate the terms at which overseas producers are forced to sell their goods. With threats to find new suppliers, they force prices down around the world.” In response to such allegations, Tesco’s website states, “We have now trained over 400 suppliers in Bangladesh, India, China, Spain and the UK in improving labour standards.” But even so, Tesco is certainly no corporate saint (if ever there was one): following an investigation in 2008 by Private Eye Magazine, the UK government closed a tax loophole used by Tesco to avoid paying a corporation tax liability of £50 million a year. Yet all that aside, it’s difficult to comprehend from a socioeconomic perspective how Bangladeshi consumers are able to fork out so much more than those in the UK, where the average worker earns Tk 60,000 a week – which is around 77 times more than their Bangladeshi counterpart. 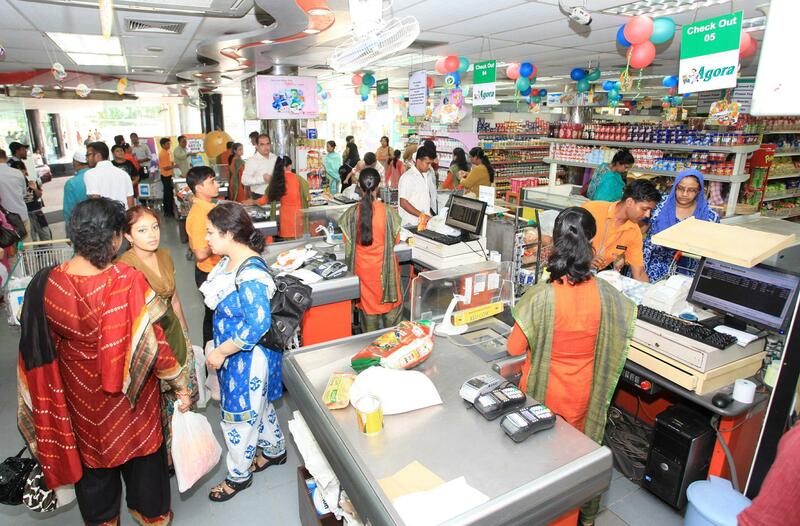 However unlike the UK, where supermarkets are engaged in competitive “price wars” and frequented by the masses, Sajjad Zohir believes that the main clientele ofDhaka’s supermarkets are the wealthy middle-class who work in multinationals or have access to remittances, own real estate or garment factories, as well as wealthy foreigners. Consumer expert Quazi Faruque believes there are also a large number of extremely wealthy people in Dhaka, who are, ironically, mostly comprised of import and export traders. When presented with my findings, Agora’s Niaz Rahim, who is also the son of its late founder, looks shocked. “This difference isn’t fair,” he says with furrowed brows, before asking an assistant to photocopy the data. Niaz hints that the expansion ofBangladesh’s supermarket industry is being hindered by prices that are prohibitively high for the vast majority ofDhaka’s twelve or so million inhabitants. Meena Bazar’s Enayam Haque cited an indirect supply chain as being largely responsible for the high prices. He explained that when fruit is ordered from Australia, Switzerland and USA, it must come via Dubai, regardless of whether or not it makes geographic sense. Haque said that excluding items sourced directly from China, the items imported from 20 different countries change hands five times before reaching the consumer, who ultimately covers the cost of such a protracted supply system. “In future we plan to build our own supply chain,” Enayam said. Yet isolation cannot be the only answer. According to Sharron Stretton, a long-term resident of the South Pacific island nation of Fiji, which has a population of just 849,000, “The cost of imported food is the same as, if not cheaper, than Australia or the USA. Everyone in Fiji shops at supermarkets.” Along with sugar and garment exports, Fiji’s economy is heavily reliant on tourism (the annual number of tourists per year is more than half its population), which may provide extra incentives to keep the costs of imported goods as low as possible. However according to supplier Anwar Hossain, proprietor of Saika International at DCC Market in Gulshan, when he supplies 10 to 15 lakh worth of goods to Meena Bazar each month, his profit margin is just three to five percent. His grumbles concern customs. However according to Niaz, none of the factors listed above affect prices more than high taxes. “Taxes are the number one reason for the high prices,” he states emphatically. Niaz has sent letters to the National Board of Revenue’s (NBR) Chairman Fariduddin Ahmed requesting reforms to duty taxes, but is yet to receive a reply. He plans on holding seminars next year to raise public awareness on the issue. There is no shortage of taxes applicable to imported goods. Niaz reels off a list without pausing: import tax can be as high as 40 percent, customs duty is 25 percent, regularity duty is 5 percent, advanced trade tax is three percent, pre-shipment inspection is 1 percent, and the largest form of taxation, supplementary duty, varies (somewhat wildly) according to item. Supplementary tax ranges from 20 to 500 percent on imported products, and from five to 20 percent for local products. Socially undesirable items such as imported cigarettes and alcohol (though obviously not sold in supermarkets) are taxed at a rate of 350 percent. NBR’s Khan elaborated on the “public interest” principle by saying, “Supplementary duty is a policy issue determined by NBR, according to requests from local manufacturers. It’s designed to protect local foods.” He cites biscuits as an example: imported biscuits attract a supplementary duty of 100 percent, a rate he considers high enough “to protect the good biscuits of Bangladesh.” However as Meena Bazar’s Chief Operating Officer Shaheen Khan points out, when all the taxes on imported biscuits are combined, the total rate of tax amounts to 213 percent. This is the same rate of tax imposed on imported energy drinks, carbonated beverages, chips, margarine and mayonnaise. Protectionism is undoubtedly a good policy, but when applied excessively, it results in a lack of consumer choice. Moreover, while most consumers would be more than happy to buy products made in Bangladesh, it is often difficult to identify them as such. “Rich Foods,” for example, displays the Union Jack flag, under which it is stated that the product – chicken nuggets and the like — was made in Bangladesh (“with UK technology”). Other items, such as Bangladeshi jam jars, feature Arabic lettering, as they are also sent for export. There is currently no uniform logo to identify products that were made in Bangladesh. Furthermore, NBR’s definition of “luxury” for taxation purposes appears to apply to everything imported. According to Meena Bazar’s Shaheen Khan, “Items such as chips, shampoo, and jams are considered luxury items. Most [imported] products are for rich people.” One couldn’t agree more. corruptions in customscustoms bangladeshexpensive imported food in bangladeshhigh price of imported food in bangladeshimported food more expensive than uk tescomeena bazar agora high pricesnational board of revenueprotracted supply chainsupermarkets bansupplementary duty bangladeshsupplierswhy is cheese in bangladesh so expensive? I remember when Agora opened in theu early noughties when I lived in Bangladesh for 5 years. What surprises me here is why anyone in this day and age would like to eat examples of the unhealthy processed foods on your list in the first place! Have a healthy atta roti and dinner’s leftover vege curry any day, or local yoghurt and fruit – tipical available offerings and live better for a fraction of the price. I’m glad the prices are high. At least it’ll prevent people wasting their money on half these foods where the packaging is probably more nutritious than the contents. Supermarkets are making our live very standard and discipline as well as provides more facilities. i am thinking to print this article and distribute among the customers in front of the Agora shops in all over dhaka. I’m so amazed how they ripping us off. I’m going to distribute your article (price portion ) as leaflets in front of the mosque, college and university near Dhanmondi as I live here. I think we all should be aware of this scam. But media can play a vital role here. Please come to Dhanmondi this week. Could you please send me an email of pdf format of the price comparison’s portion so it will be easier to print and distribute. I also want to mention your name and credentials. very informative article. Please keep the good work. It is an interesting resourceful feature. It is showing how the supermarkets are cheating with us. This article was very needed. I went back to BD after two years (from NY), amazed at how worse things have gotten. Prices of things are double what they were just 5 years ago. The tax on a 43-inch TV is 50,000 TK which is ridiculous. No wonder people are still using old Soviet-era TV sets. Everything seems to be under the hijack of an elitist class. I bought some burgers at a store and wanted ketchup. But they wanted 3 TK for a small pack, something they give out FREE in chunks in NY. Another day. someone took me and my bro to eat at another fast-food restaurant. We ordered the “chicken saslik wrap”, waited for over half-hour just to see that there was almost no meat in the tiny thing. Chickens dont even exist in BD anymore, and you wont get meat in anything there. The “chickens” are actually just old “chicks”, they cant be called chickens. The difference is like that of a Tadpole and a Frog. Society must be what has turned people against each other. Crime and dishonesty is so much now there. You cannot buy anything without getting ripped-off. They sell fake Nike/Addidas shoes (which everyone knows are fake), but they want 2000 to 5000 TK. I could buy a REAL pair for that exact price in NY. Hi, liked the article, very well researched!! Wondering if you covered the other food categories, like, Infant Formula, Baby Food, FCMP, Beverage etc. I work for Nestle Bangladesh and this article will be very useful for me. If you have more data or information regarding the above, and if it is ok to share with me, would appreciate if you kindly email me the report to the following email ID: shhariar.nestlebd@gmail.com. Please get in touch if you would like to share your own insights – in a few months i’ll revisit the issue to see how things have progressed.